The Vancouver Spa is a spacious fiberglass spa with a free form design & flat bottom layout. The Vancouver is our second largest spa model available. Very popular with many of our clients – it is both versatile and comfortable! 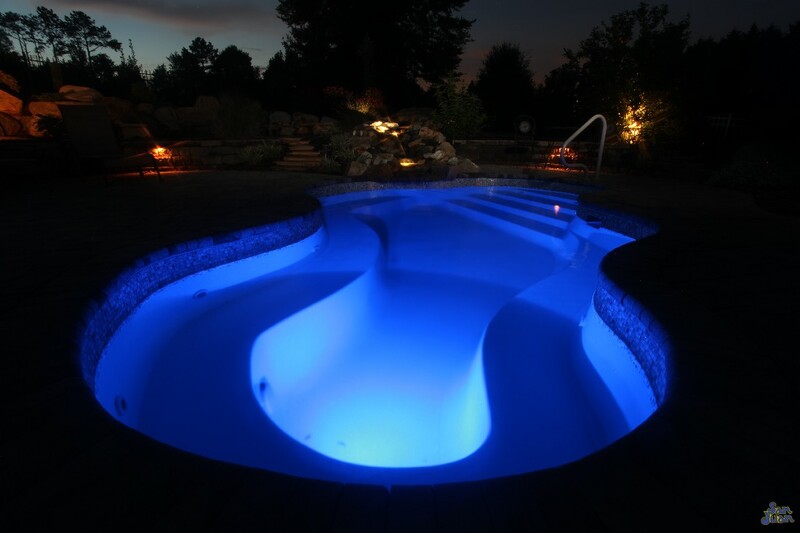 San Juan Pools is proud to bring our clients another creative and yet beautiful fiberglass spa model – The Vancouver Spa. This stunning spa illustrates a serene free form layout with stunning curvature and extended length. With an overall length of 18′ 2″, the Vancouver Spa is a very spacious spa design that fits plenty of bathers for a relaxing and intimate evening outdoors. Just imagine with us for a second, the evening is cooling down and you’re firing up the grill to cook some burgers. You’ve invited your friends for the perfect evening outside in your newly renovated backyard. You then fire up the spa heater and have a steaming Vancouver Spa ready for hours of outdoor entertainment! Once your friends arrive, the evening passes away due to hours spent in private conversation with family and friends! Now that’s our type of evening and it can yours too by selecting the Vancouver Spa for your very own outdoors oasis! As we previously mentioned, the Vancouver Spa is our second largest spa model. 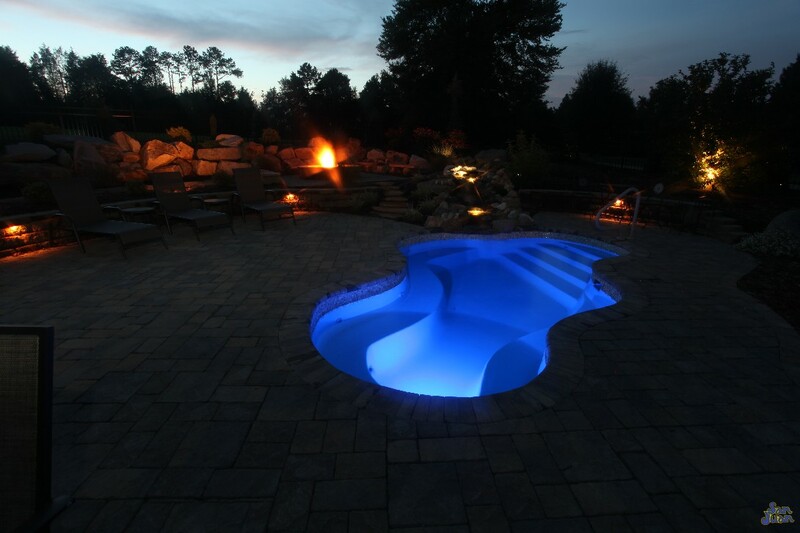 This gorgeous design provides a beautiful outdoor oasis with an overall water volume of 2,125 gallons. The Vancouver Spa is spacious enough for 4-6 bathers to comfortably convene for hours of relaxing conversation. Designed similarly to the Sydney Spa, the Vancouver provides you with a flat bottom layout. This allows for easy transitioning from one seat to another. 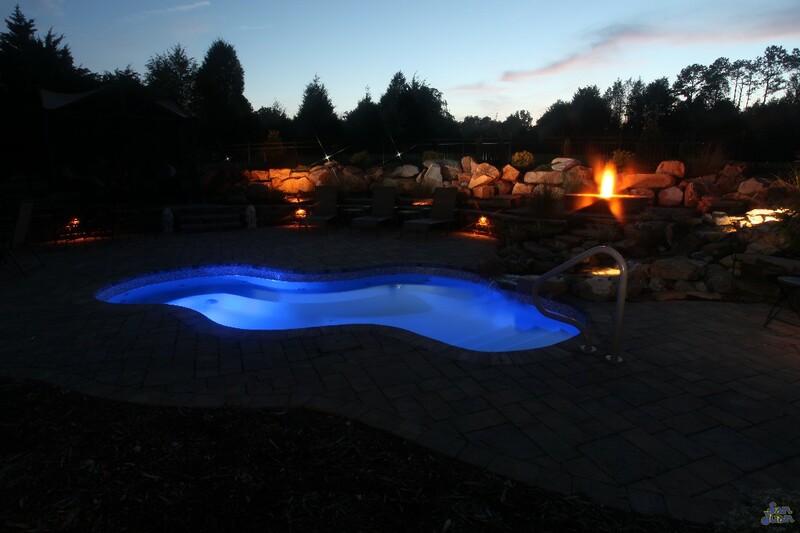 In conclusion, the Sydney Spa is a fantastic fiberglass spa model that provides a wide space for friends and family to connect. You’re sure to take notice of the Sydney’s long length & ample bench seating. This fiberglass spa is designed for hours of outdoor entertainment and can be paired with some brilliant LED lighting technology. In addition, we suggesting purchasing a heater to keep this outdoor oasis warm for Fall & Spring months. You’ll soak up the Vancouver’s free form design and comfortable seating arrangement. 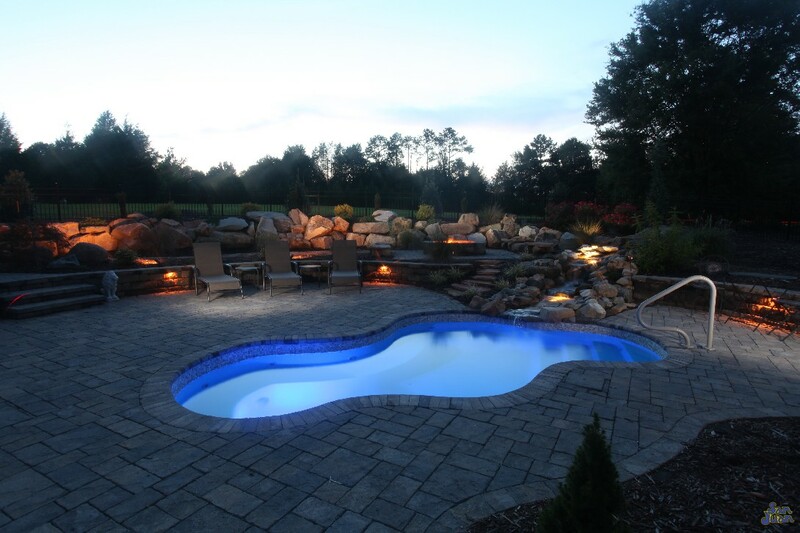 It’s our way of providing you the very best in outdoor living. Now is your chance to purchase one today! Just fill out our contact form and we can connect you with an approved San Juan dealer who can assist you with everything from design to installation.